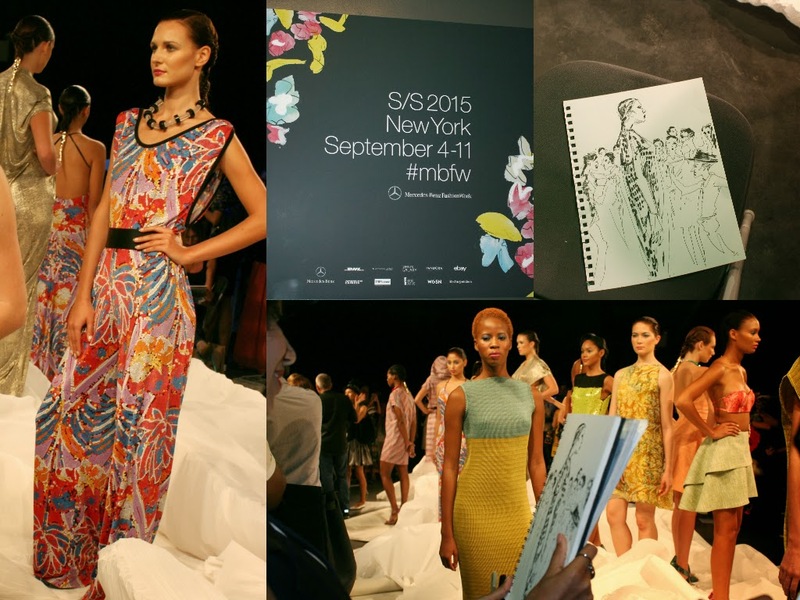 In order to get into fashion shows at NYFW, you have to "request" an invitation to each show. I sent out countless emails to PR people, kindly requesting admission to view designers' collections. As a newbie, lots of the designers turned me down. (The nerve!) 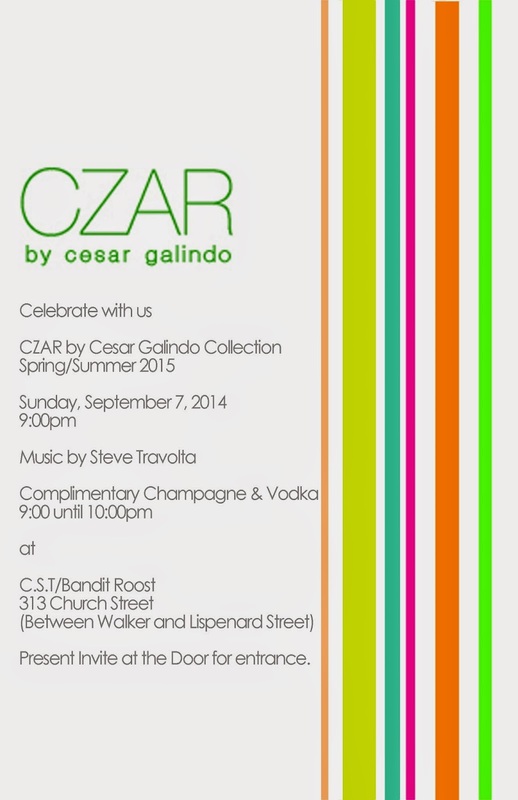 So, I was delighted to receive an invite to see the CZAR by Cesar Galindo Collection near Lincoln Center. When my husband and I researched his previous work, we knew I was in for a visual treat! The Spring/Summer 2015 collection did not disappoint, with its use of exquisite fine details, eclectic mix of placement patterns, and variety of tactile fabrics. 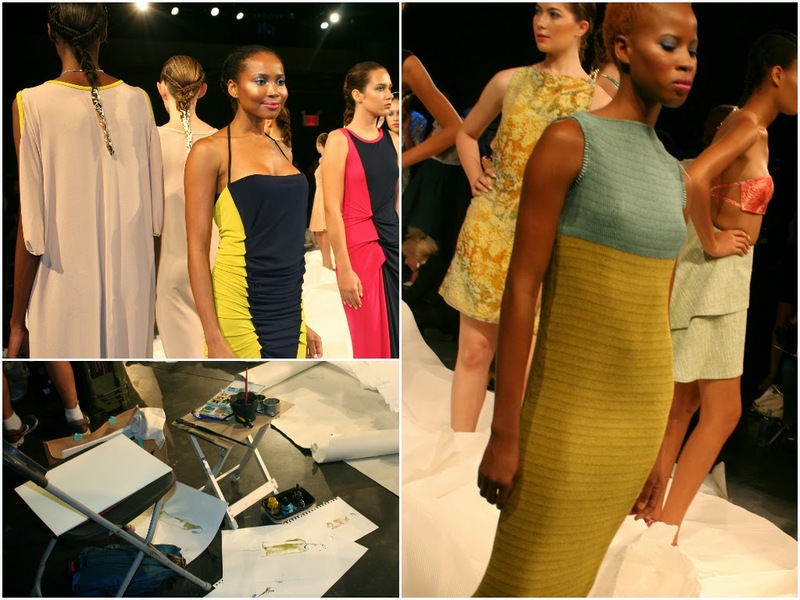 The wearable-art spirit of the garments no doubt inspired the handful of artists furiously creating sketches of the looks.